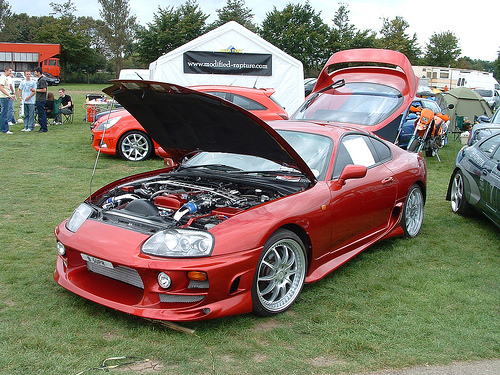 If you've been looking to personalise your Toyota Supra to suit your personality a little better then there will be a kit here for you, so let's get started and take a look at some body work! 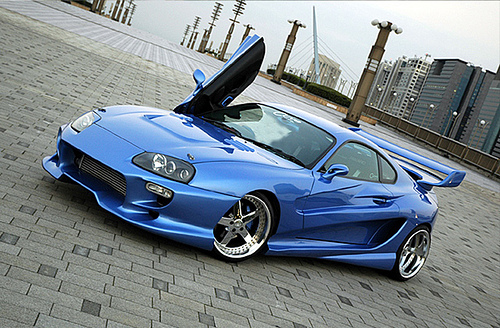 The Duraflex TS1 bodykit is one of the classiest looking kits on the market for the Supra. 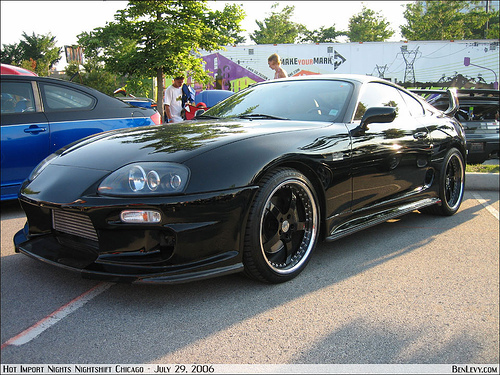 Too many aftermarket kits just look way over the top since the Supra's stock visuals are pretty desirable as they are. This kit just adds that pinch of spice to your ride without taking away to Supra's soul. If you're looking for a kit to make that intercooler pop, then the C1 is what your Supra needs. As well as making your Supra look meaner than Mr T on a bad day, the huge amount of exposure will inevitably improve airflow keeping your Supra cool under the most harsh conditions... 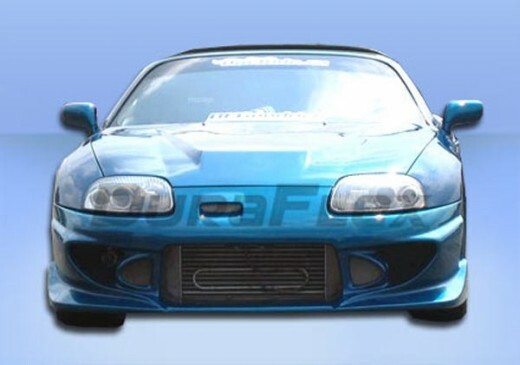 The asymmetrical vent on the front bumper is also a playful twist that gives your Supra that racing snarl. One unique looking bodykit. The Duraflex Demon Supra Bodykit is simplistic, but entirely attention grabbing. It seems to possess both the head-turning qualities of some of the most flamboyant bodykits whilst visually remaining tasteful. 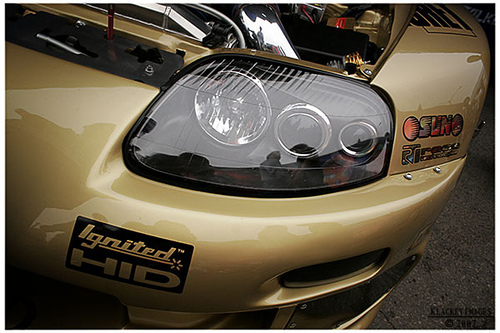 The sum of these qualities results in a fantastic looking Supra that looks race ready. Now here's a special looking bodykit. Just look how the sideskirts flick outward as if the bodywork of your Supra is made of fabric, or perhaps liquid. The sideskirts are no doubt one of the best features of this bodykit as they seem to flow so well with the front bumper. 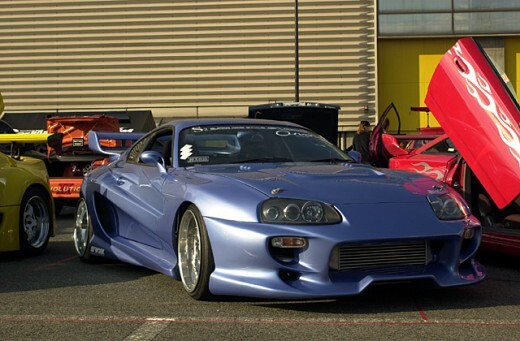 This body kit will completely transform the look of your Supra and, in my opinion by looking at these visuals, this can only be for the better. 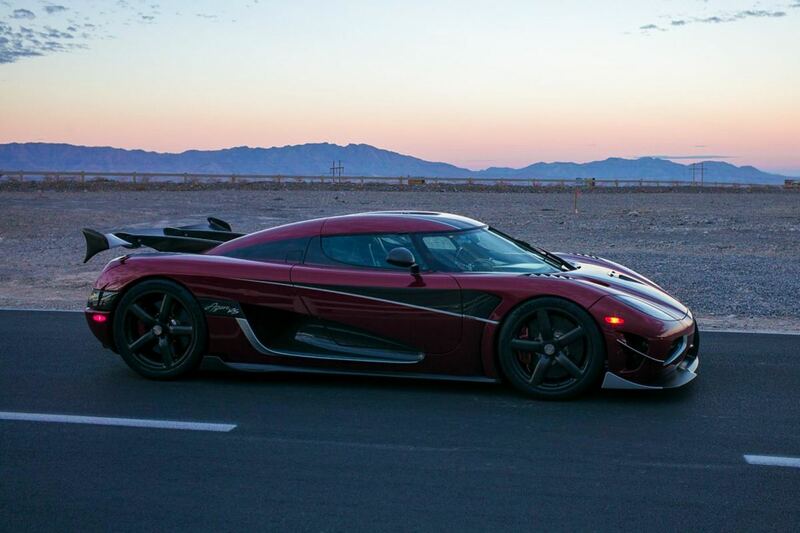 Prepare to make passers-by drool. You can't lie, this kit is utterly flamboyant and ridiculous, but holy cow! Doesn't it look badass? It's definitely a combination of that protruding front bumper and the zigzag sideskirt work that'll make your Supra have pedestrians dropping to their knees in worship of your masterpiece. 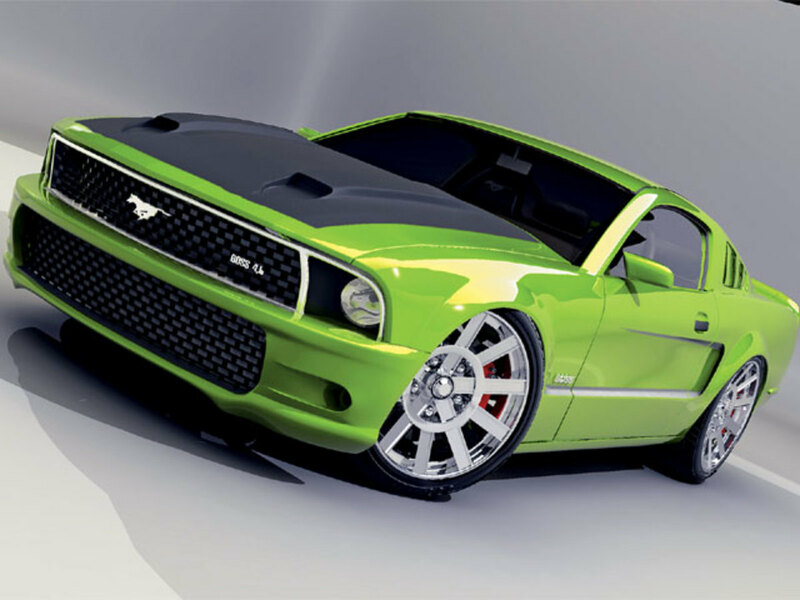 A stunning looking bodykit, don'tcha think? Looking for more Drifting/JDM/Car Tuning Hubs? Disagree with my top 5? Have your say. I don't really prefer duraflex, they make some good designs, but they take (in my opinion) a relatively large amount of body work to achieve that perfect fitment and look before it can be painted. the designs are nice though. Соседнее окружение. Часто поверхностного знакомства может быть достаточно, для того, чтобы разобраться Прикол - сможете ли вы нормально сосуществовать с такими людьми, или нет. Знакомство с соседями советуем связать с расспросом о местности, прежних хозяевах, известных авариях, которые происходили у них в парике. Вы будете иметь представление о соседях, и о участке. you've got demon fronts for ts1 and the demon?